This submission describes a nightwatchman awoken by a gunshot. It’s a good example of a draft manuscript that needs a little more attention before being put in front of an agent or publisher. See if you can pick out the problems the editor is going to highlight. Synopsis: December 1971, two college students were murdered after getting picked up hitchhiking in Mount Harmony WVa. Detective Morrissey Miles is MHPD’s first black detective and is assigned to investigated the double murders. Text: Boles heard the gunshot and woke from his stupor. Breath hot and sour. He swept back his greasy hair while searching for his ankle hoister. It had been a long time since Boles had heard whispers from the souls he’d carried back from ‘Nam. He had many souls at his side and none were the murdered students from Harmony State University. 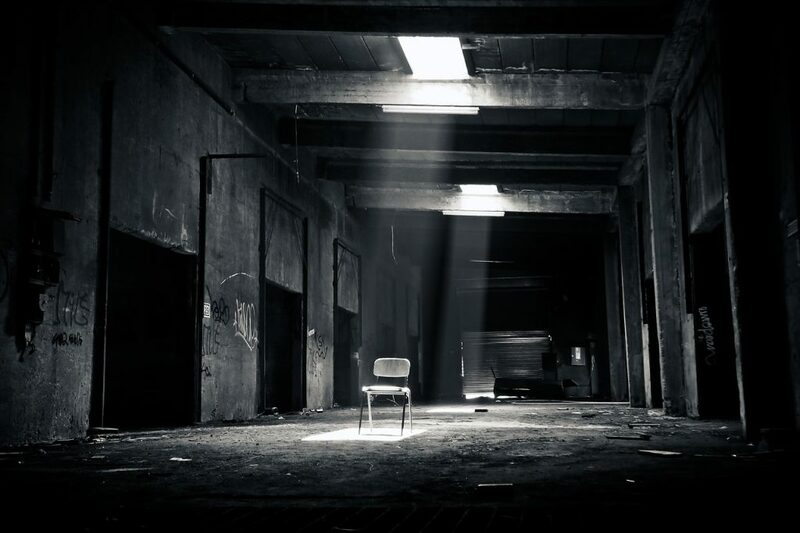 “You feel dead ground too?” He whispered to his souls, “Blood has been spilled.” Like a rattler threatened or surprised, Boles held his revolver tight and stumbled outside the abandoned factory to where he heard the shot. Boles was the security guard for the old factory, and, drunk and unprofessional as he was, somehow managed to take a squat behind a convertible bug with a bicycle hanging out the back seat. He watched the younger black stranger looking for something in the thickets. An older and taller black man was lying on the ground, bleeding. Boles recognized the white boy who’d almost been ran over last summer, but the VW bug was not the car used to chase the boy down. Boles gave his inborn high-dominance look and wanted to shout out to mister ‘dingo brain’ who was possibly looking for the revolver used in the shooting. It was visible to Boles fifteen feet away. If ‘dingo brain’ had fired the revolver at the dying black man and was about to fire again at the white boy, Boles would shoot to kill and accept another soul into their fate. Boles’ behavior had changed since saving the Avery boy last summer and vowed to never kill again. It was apparent the older black man was dying and Boles wondered if the younger black man was a murderer, much like himself. Editorial comment: I cut this off here because it’s evident to me that this needs a bit of work. That’s no harm. The whole point of this website is to let people know if they have some more work to do before they should think of submitting to agents/publishers. Let’s just have a look at a few issues that would probably throw an agent out of the story. In the very first sentence, how can Boles hear the gunshot and then wake up? If he’s asleep, he’s asleep. He might wake, but he doesn’t know what’s woken him. In a way, that could add tension. He is startled awake, but he doesn’t know by what. Instead of telling us he was woken by a gunshot, tell us he was woken by “something”. We, as readers, then start to speculate. “Hmmm, I wonder what he was woken by?” Immediately, you have us more engaged—we are thinking about what could have happened to your character. Using fragmentary sentences, as you do with “Breath hot and sour”, is fine, but bear in mind they’re a deviation from the norm, and they’re only really justified if they serve some purpose. There’s no real reason here why you shouldn’t just add a comma after “stupor”: … and woke from his stupor, breath hot and sour. In the next sentence “holster” is mis-spelled as “hoister”. I don’t know if you have used them, but it’s a good example of why relying on editing programs such as Grammarly isn’t a substitute for a human eye. “Hoister”—one who hoists, is a perfectly valid word, but doesn’t suit this sentence. It’s the kind of thing that isn’t going to get picked up by an automated spell-checker. Don’t forget that this is an example of your best work, so errors like this will irritate an agent who might think you’re not taking the submission process very seriously. You might think, “So what? It’s just a spelling mistake”, but there are other authors out there, also all eager to get published, who make a point of getting their work studiously proofread. Who is the agent going to think is the writer more serious about their work, easier to work with? A more minor point is the leading apostrophe in front of “Nam”. This apostrophe should face the other way—it’s noting the absence of the leading syllable “Viet”. It’s hard to force the apostrophe to face the other way, but what I do in Word is hold the Control key down and press the apostrophe key twice. See if that works for you. The next few lines about the “souls” are a bit confusing. Who are the murdered Harmony State University students? They are not the souls he carries around with him, he tells us, so why mention them? It’s hard to understand who these victims are and why they’re name-checked here. The correct punctuation is … ground too?” he whispered to his souls. The rattler metaphor is a nice touch, but it’s a little wasted here because he isn’t behaving like a snake—he’s walking (or shuffling, anyway) along holding a gun. He doesn’t stumble to where he heard the shot because he heard the shot in his office, where he was dozing. He might be stumbling towards where he thought the shot was fired, but you probably don’t even need this sentence, since it’s quite obvious what he’s doing—he’s going out to investigate.. Instead of saying in the distance of three hundred yards, you could just say three hundred yards away or even just in the distance. Talking of the distance, three hundred yards is a fair old stretch, and it’s pretty unlikely that he could hear what the other man is saying if he’s talking at a conversational level. And about the dialogue, it’s unclear who is actually talking and who he is talking to. It’s presumably the guy looking for the gun who’s speaking, but who is he addressing, and why is he having to search for his gun? Did he drop it, throw it away, get it shot out of his hand? More to the point, how does Boles, three hundred yards away, know he’s looking for a gun? He could be looking for car keys, a phone, anything. That’s quite a few points in just the first two paragraphs. They’re typically the type of problem that would be picked up in a copy-edit, but a copy-edit at this level of intensity would be very expensive. I’d suggest what you need to do is go through the manuscript again from the first page, picking up all these types of problems. Really put yourself in the scenes you describe, and consider whether they “work” physically—things like, could Boles hear what the man is saying from three hundred yards away, and how does he know what the guy is looking for? Don’t worry too much about punctuation and so on at this stage. That’s a lesser problem. Your first priority should be to get the story straight. If you really don’t feel able to do this kind of remedial work then you could ask an editor to do it for you, but it would be pricey to get it done properly. I hope this helps, anyway. If nothing else, it has let you see what an editor would be pointing out when they work on a manuscript.